Where Passions Come to Life! 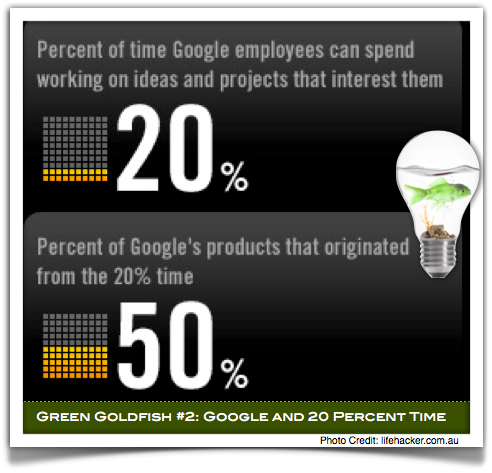 To help inspire innovation and creativity, Google offers employees 20% of their time to work on a project of their choosing. Teachers who offer the same to their students can meet learning goals while creating powerful experiences that lead to increased motivation, creativity, and divergent critical thinking. Follow our classroom's journey as it just begins with 20 time. Where did the inspiration come from? How do you take the leap? What are students doing for 20 time? How do they choose their projects and where does a teacher start? Enjoy an upbeat and relaxed conversation among fellow educators discussions this unusual new practice in the classroom. Project Based Learning by nature will teach students perseverance, independence and skills they simply can't obtain from traditional methods of instruction. Adding #20Time (also Passion Project or Genius Hour) programs to your school brings PBL to a whole new level. Watch students describe their ongoing #20Time projects and ask them your questions. How can students be taught to shape their environment? Can we foster students to find their own voice and get involved in causes they are passionate about? Can we teach them to step out of their comfort zone to share their work on social media and in the news? Ask students these questions & find out how they have been successful in delivering filled bags to foster children, creating an outdoor lunchroom & much more! What motivates you? I mean REALLY motivates you? 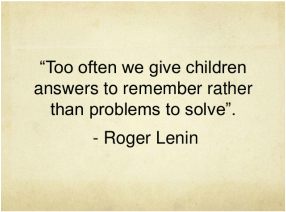 Learning doesn't start or end with schooling. In the ultimate project to teach independence and ownership of your learning, we are participating in 20% Time. It's time to completely submerge yourself in the learning process. This project will test your Googliness & creativity like never before. Choose what you want to learn or accomplish. Use 20% time to develop something new, or if you see something broken, use the time to fix it! Follow your interest with passion and research how to reach your goal. Think of it as the RIGHT TO EXPERIMENT or as FOCUSED FREE TIME to follow a passion. Be creative & use your imagination like never before. Throw yourself into a project wholeheartedly. 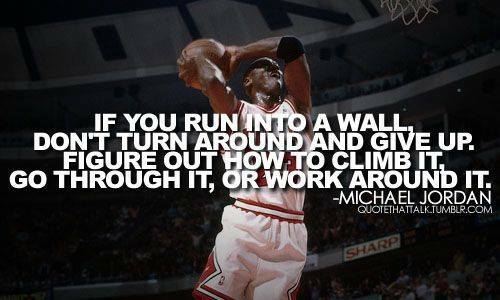 Go around, knock down or destroy any hurdles that come your way and learn more about yourself in the process. For one hour a week, you will pursue a passion-driven project. In the process, you will help further develop skills in critical thinking, time management, searching, researching, inquiry & more! Let's create a classroom full of students inspiring each other. You are Geniuses! The world EXPECTS your amazing contributions. Students who participate in 20% Time Projects are participating in inquiry based passion projects that support experiential learning and require intrinsic motivation. This kind of user-generated education allows for maximum engagement and learning. You cannot spend 20% time checking unrelated texts, browsing facebook, playing games or other 'off-task' activities. It must be QUALITY time spent on the task. Week 1: Introduction to the 20% Time Project. Inspirational Ideas! Website intro. Start & Foster a Movement! Build & Sustain an Awareness Campaign! Learn Japanese! Or Chinese! Or Sign Language! Or Any Language! Create an SAT Prep Site/Question App/Etc. for our School! Improve an Area in the School or Community! Teach iPads & the Internet to an Assisted Living Community! Get Passionate About Improving the Pep Band, Marching Band, or Any Other Club that Needs More Help! Help the Jake Menghini Museum Document the Veterans! Create a Campaign to Send Care Packages Overseas! Build a Robot that Does Something! Create Artwork for Someplace that Needs It (Schools, Hospitals, VAs, Parks)! Schedule, Plan & Hold a Concert to Support a Cause! Create Our Own TedX Talks Program & Assembly for Our School! Create an Online Presence (Website/Facebook & Google Calendar) for a Club or Sport! Create an Online Presence for a Local Business! Digitize All the Alumni in an Online Searchable Format! Win the School a New Health & Fitness Club Through THIS Grant! Start a New Program to Donate Toys, Shoes or Clothes to the School or Children That Need Them! Compose a Piece of Music with Garage Band! Create a New Sharing Site of Information for People to Connect! Create & Foster a Program to Improve our School Spirit! Help us Win the Battle of the Fans! Create a Program Where You Play Your Music for Crowds (lunch room/coffee shop/assisted living/veterans/local Lion's clubs/etc.)! Learn How to Run a 10 K! Implement a Buddy Lunch Sitting System! Teach the Entire School Something to Improve their Life (i.e. Calendar, Reminder App, Homework App, etc.)! Create an Entire Sportsmanship Program/Rewards Program (the MHSAA supports a LOT of stuff for this)! Make a Place the Teachers Go (the louge/faculty bathroooms/etc.) a More Inspirational Place! Set a Goal to Apply for & Win a Variety of Grants for the School! Research Something You Want to Learn About & Present Your Learning for Others! Convert Teacher Tests to a School Wide Test Bank! Produce Your Own Short Film & Enter a Film Festival! Visit THIS Site to See Project Examples from Other Students!